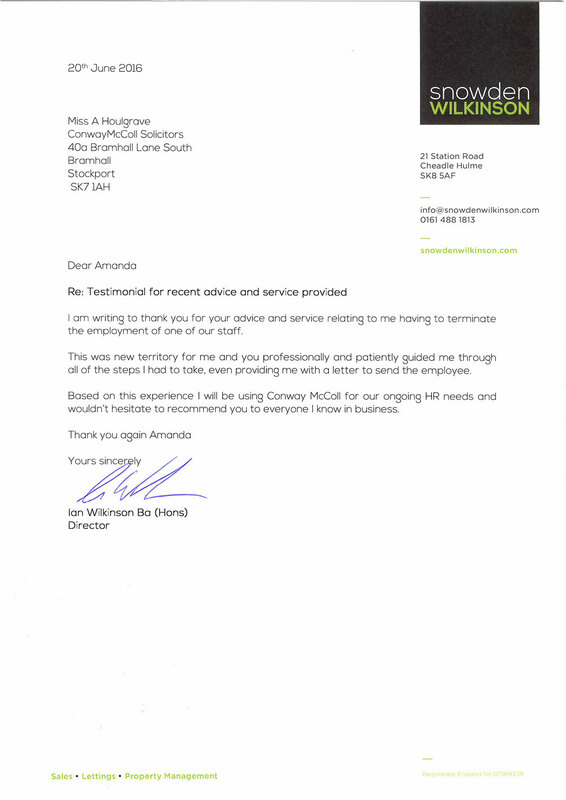 I am writing to thank you for your advice and service relating to me having to terminate the employment of one of our staff. 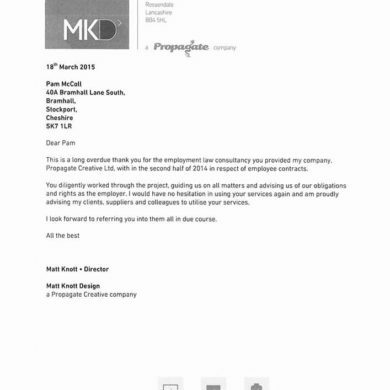 This was new territory for me and you professionally and patiently guided me through all of the steps I had to take, even providing me with a letter to send the employees. 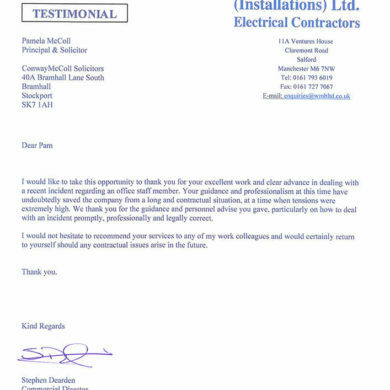 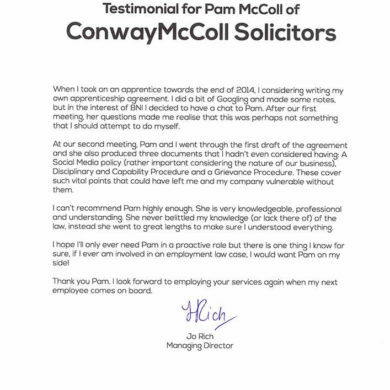 Based on this experience I will be using Conway McColl for our ongoing HR needs and wouldn’t hesitate to recommend you to everyone I know in business.